Inspiration strikes Liz Gribin in life’s everyday moments—a model’s pose, movement or look. 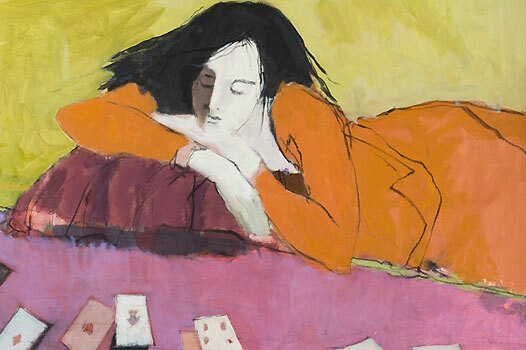 A former student of the Museum of Modern Art in New York City, she learned that art does not always come from nature, “art comes from art.” Gribin has spent more than 50 years mastering how to mingle cool and warm colors, use shapes and reduce detail in her figurate paintings to create truly unique works of art. They depict models in a modern and somewhat surreal way, allowing the viewer to add any features to the blank areas of the faces in her paintings. Gribin was featured in the June 2006 issue of AmericanStyle.